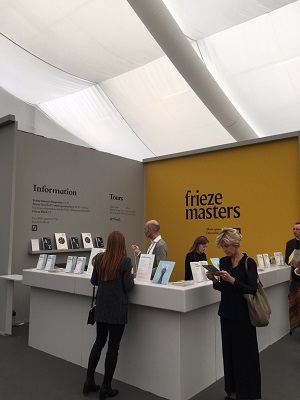 The Frieze Masters Art Fair in London has begun! 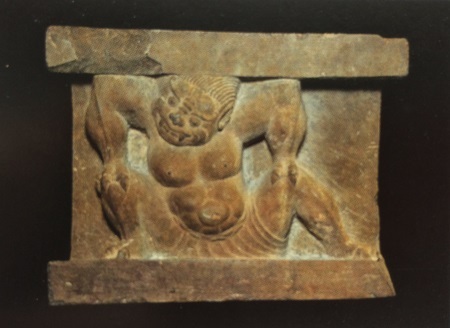 London Gallery is exhibiting works like this sculpture of Bishamonten. The entire venue is quite crowded, as you can see. The Shinto Attendant Figure looks most impressive! Its dignified appearance has attracted a lot of attention. 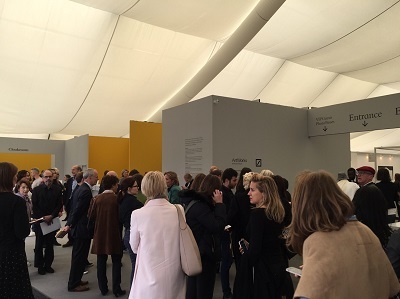 We're pleased to be able to show a great number of people what London Gallery is all about. 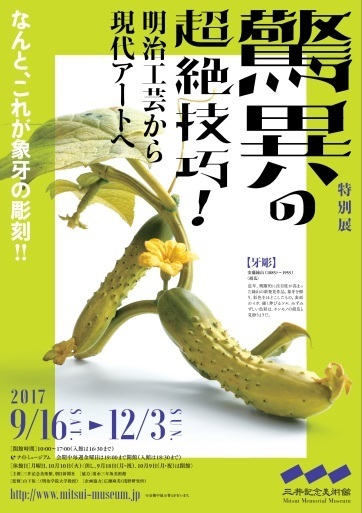 And back in Japan we are starting a new exhibition in Shirokane as of today, so we hope you take the time to stop by and have a look! 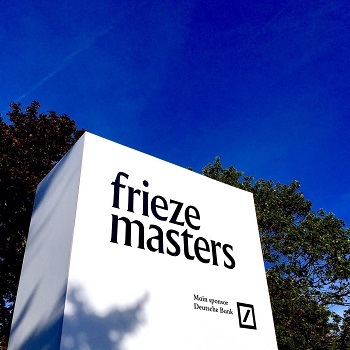 We hope this finds you all well as the mornings and evenings become increasingly cool. 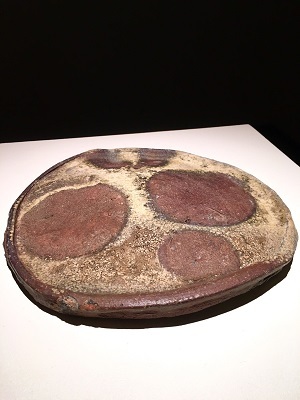 Please allow us here to introduce a large, so-called "Bota Mochi" Bizen ware dish. 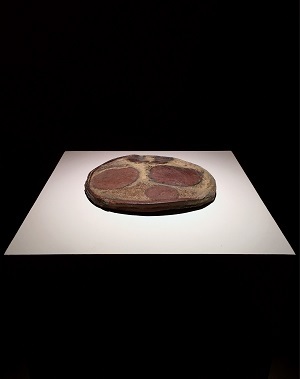 The circular patterns are a result of other objects having been placed on the dish when it was fired. Dishes with this characteristic pattern are called "Bota Mochi" dishes, after the Japanese adzuki bean sweet that it so closely resembles. 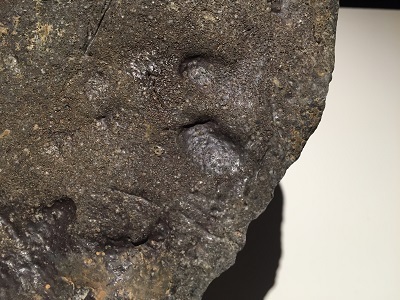 The stippled yellow glaze too is known by a food reference, called "sesame glaze", and is said to appear in works that were placed far from the furnace opening in the kiln. 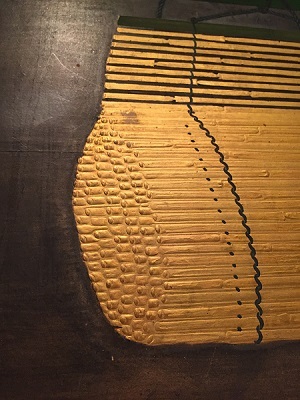 On the underside you can see finger impressions from the time when it was made. Bringing the piece to its final form with bare hands, the craftsman here surely left his mark. 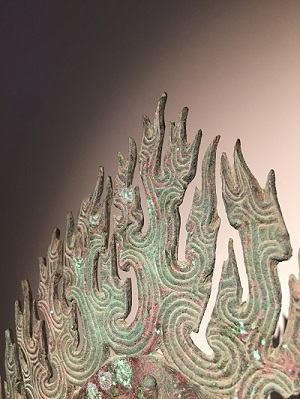 We hope that you will take the opportunity to come see this fascinating piece. We hope this finds you all well in the heat, as the cacophony of cicadas reaches its crescendo and summer gets fully underway. 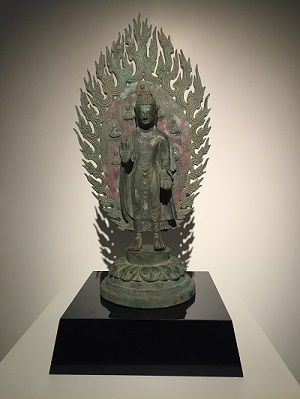 Please allow us here to introduce a bronze Chinese sculpture of a standing buddha from the Northern Wei Dynasty (386-535). 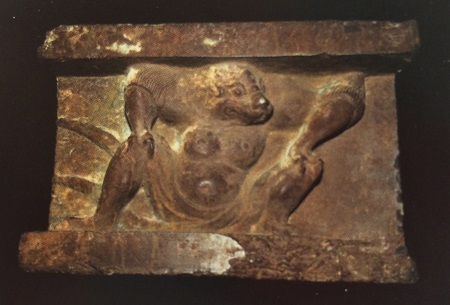 The mandorla is called a kaen kōhai, or "flaming mandorla", which is rare in sculpture of this type. 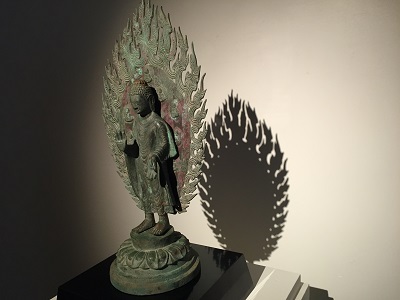 Each individual flame has its own movement, and appears as if actually ablaze. The shadow projected on the wall behind the piece too, is like a work of art in its own right. We hope you will take the time to come by and see the show! It seems as if the rainy season is beginning to break, as we've been having a bit of blue sky as of late. This time, we would like to take a closer look at the Bamboo Blinds screen mentioned in our last entry. 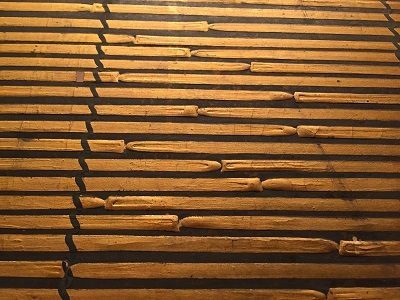 As mentioned before, the heavy application of gold pigment in rendering the blinds makes them seem almost three dimensional. 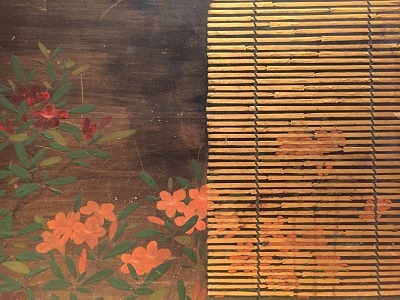 The flowers in the background are carefully depicted, and you can even seem them through the gaps between the individual bamboo stalks. 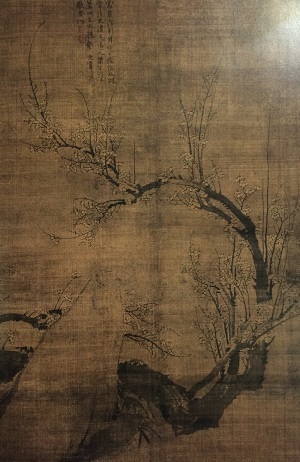 Gazing at this screen produces a unique psychological effect, where the realistic depiction causes a cooling effect, as if you are actually looking upon a fully blooming garden on a pleasant summer evening. 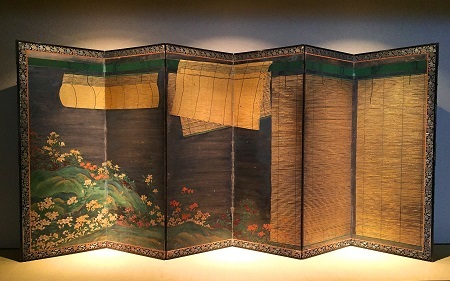 Though it is hard at this time of year to tell when it might suddenly burst out in rain, we hope that you will take the time to come by and see this fascinating screen while it is on display. 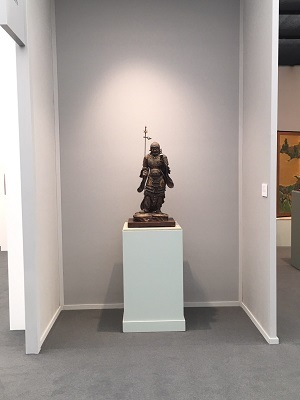 The "Tokyo Art and Antique" festival has begun! 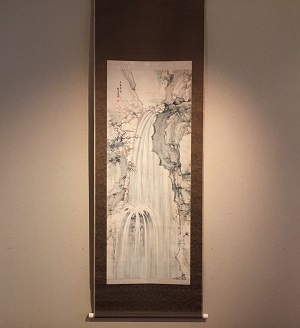 We have had a number of people ask, "Are there any other galleries where I can see traditional art displayed in such an interesting way?" 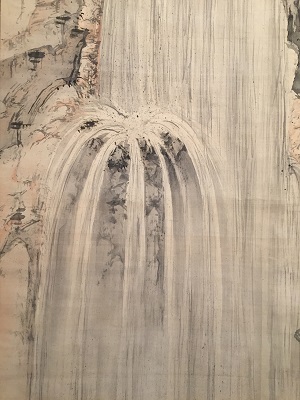 People who are normally interested only in contemporary art also said, "Wow, traditional art is really interesting too!" 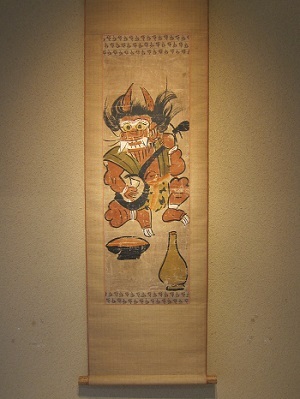 There is an event that I would like to recommend to people like that, called "Tokyo Art and Antiques" (click for link). 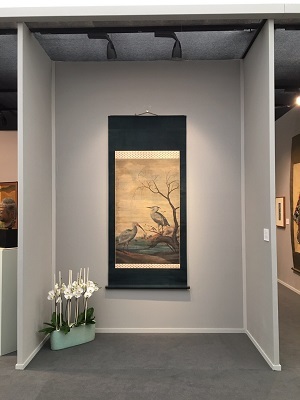 Since the end of the war, approximately 150 shops specializing in traditional art, crafts, Nihonga, modern art, sculpture, prints, and so on, have gathered in the Kyobashi and Nihonbashi districts of Tokyo's Chuo ward. In fact, Ginza is the only area in Tokyo that can beat it. Many of these shops would normally be closed on the weekends and public holidays, but this year many are staying open throughout the first days of Golden Week from April 28 - May 1st. 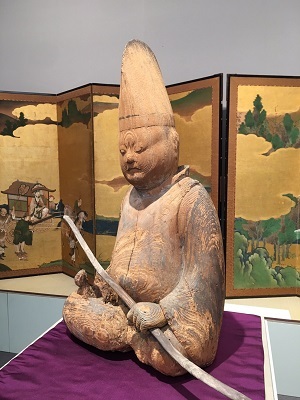 Regardless of age or nationality, this gives people who like Japanese art and antiques a chance to experience a variety of objects from the past, whose fascination can still be felt by those of us today. This is a great opportunity because many of these shops are otherwise quite difficult to enter, with a very exclusive air about them that would normally discourage people from casually dropping in. This time, however, any and all are welcome! A lot of these are very small shops with delicate things all lined up and on view in narrow spaces, so please be careful with your bags, and maybe I'll see you there!